Veer- see miss topper came………. Ragini- stop it veer……so guys are you all ready for valentine’s day party tonight……. Karan- yeah raginiu……..you know almost every boy wants to impress you….but you…..
Ragini- leave it yaar…………so we will meet at hotel ransom…..be at time…..ohk guys….. While ragini is going …….a boy comes with rose….infront of ragini….. The boy closes his eyes…..
Ragini- speak na baby…….i am waiting…….. Boy opens his eyes…and sees miss rupali dance teacher of the college……who always flirts with boys……. Miss rupali- ohh my boy……so where are we going at evening…. Boy is shocked…..miss rupali holds the boy’s shoulder……. Saying this miss rupali follows the boy…..the boys runs from there……..
Sonal- you will never change na……sometime you should be serious also……. Ragini- huh….in this world there is no one…who should dare to propose ragini Gadodia……understand jaan…. Veer- ragini….i bet you some one will surely come in your life for whom you will fall…see…. A boys is shown running on the road…with guitar at his back……..he runs and comes to a restaurant which is beautifully decorated as it is valentine’s day……..
Boy- ohh my janu had planned surprise for me…so this was surprise she want to give me valentine date…. Sanskar enters the restaurant……..he looks here and there….searching for someone…..
Sanskar smiles seeing her……and runs to her……. 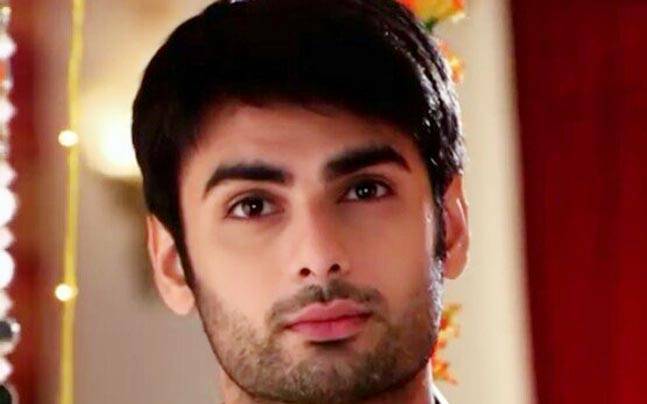 Sanskar- awww janu……..you planned such a beautiful surprise for me…. He was about to hold her hands……..but someone from back comes and hold sanskar;s hand………..
Sanskar- hey what is this…..
Kavita- sanskar……….this surprise is not for you……..this surprise is for me……given by my new boyfriend vikcy khanna ……..and yes for you I have a surprise……that we are breaking up………..
Sanskar is shocked listening to her……. Sanskar- aww janu….such a nice joke but baby its February not april……. Kavita- I m serious sanskar……. Kavita- but I don’t love you…….see vikcy is so better than you…….you don’t even have money to give me simple gift…….who wil want to be with you……..
Saying this kavita leaves with vikcy holding his hand………sanskar looks on………. Sanskar again looks at the moon…..
Sanskar-14 February is the worst day of my life……..
Ragini- 14 February was the best day of my life……..
Everyone is busy for swalak’s marriage preparation……. Laksh- yeah….where are you lost……..
Sanskar is seen singing holding his guitar…………ragini comes from behind silently and closes his eyes.with her palm……. Sanskar touches her hands and smiles……. Ragini smiles…..and comes infront of him…..
Sanskar- because….i can feel you……..i can feel your presence….your touch……I can feel everything about you….because……. 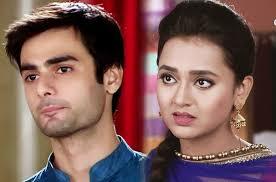 Ragini- because……..now don’t say you love me…..
Saying this ragini stands up..
Swara- see you again lost………. Laksh- woo ragini…..we came here to say that tonight……we are having party…valentine’s day is tomorrow you know…….so we decided to spend our first valentine’s day in special way……..so whole night party……. Saying this she starts leaving…..
Swalak looks at them shocked……. Swara- had she became crazy……what was that……suddenly mind changed……..
Laksh- mood swing I guess……. At night ragini gets ready ………and comes to swara and sonal who are already waiting for her……. Swara- oohh drama queen you took so much time to get ready……. Ragini makes a cute face……. Sonal and swara laughs seeing her……..
Swara- ohk ohk….girls lets click a selfie…. The trio girls moves towards car……ragini drives the car…. 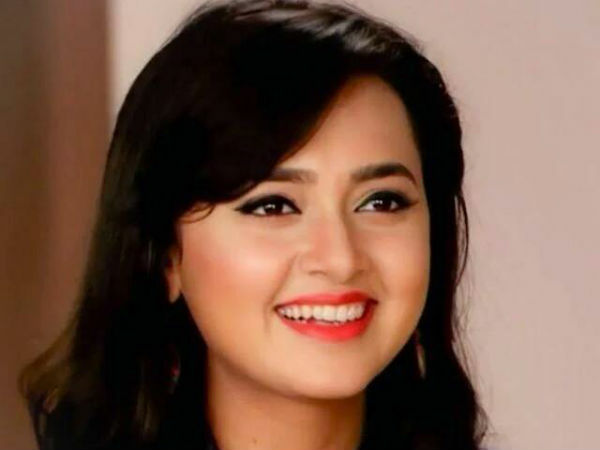 Ragini , swara and sonal comes there………. They both share an eyelock………..